When you’re a newbie at anything, being unsure of yourself sort of comes with the territory. As I began to write again after a decade or more of radio silence, as it were, I returned to study my craft and put pen to paper—or fingers to keyboard—just when self-publishing began to ramp up as a viable option. I saw it as an extraordinarily serious option for older writers, like myself, who don’t want to spend their precious time querying agents and hoping to be taken on as a client. Although I’d decided in my heart to self-publish, I suppose I still held out some hope that an agent would recognize my talent and provide me with that validation I believe all writers seek—be it through our readers, our peers, our agents, or our publishers. My re-entry into the writers’ world entailed a lot of workshops, self-study, and tons of writing via prompts and freestyle. A lot of which—in the beginning—was pure and utter crap. I broke all the writing rules at first, as evidenced by the feedback from my workshop peers. As they pointed out my faux pas, I made corrections and learned valuable lessons from my many mistakes. During this period, as I became adept at self-correcting, you’d think I would’ve realized I was finally understanding how to “show and not tell,” how to write “natural, believable dialogue,” and how to use “active verbs that don’t need a slew of adverbs to give them punch,” etc., etc., etc. What I actually began to realize was I’d become a feedback addict. As I continued to write, I needed someone to follow behind me and assure me what I’d written had genuine appeal to readers. By the same token, what I failed to realize is after the hard-and-fast objective rules, there are so many levels of subjectivity that each and every editor, pre-reader, and reviewer applies when reading what you’ve written. And I had an extremely difficult time separating the two. It wasn’t until I allowed myself to be unduly swayed by an editor—while submitting to a New York agent who’d seen one of my shorts in an online magazine and solicited me—that I learned the hardbought lesson of trusting my instincts and listening to my gut when making artistic decisions in my writing. While the New York agent’s interest was, in and of itself, validation of my worth as a writer, it would have been an extra boon to my confidence if I’d had the courage to override the editor’s suggestions for changing the trajectory of the story. This was my literary epiphany. I learned that only I possessed the vision for my story and only I knew my characters intimately enough to make the type of sweeping changes this editor had made. Had I trusted my gut, I might have debuted on the literary scene with a traditional publishing contract. Instead, I allowed someone to rob me of my vision—and the plot of its true premise—which made my story weak, anemic, and less the romantic suspense my agent was expecting from me. Editors exist to make your story better through copy, developmental, and substantive editing where necessary. They do not have carte blanche to change your story in ways you never intended, and they specifically shouldn’t make changes that diminish your writing voice or make changes to the plot that will revise the genre in which your story is categorized. So, as you hone your craft and write the best story you’re able to write, trust your instincts where the meat of the story is concerned. If there’s a nagging doubt in your gut about changes an editor, pre-reader, or colleague suggests, reject the changes in favor of retaining the spirit of your art. A good rule of thumb is if the change suggested isn’t due to a documented writing rule you’re breaking, go with your gut. L. V. Lewis is a married mother of four who lives in South Georgia and works in the Florida Panhandle. A new author who decided that stories like Fifty Shades of Grey needed a little more diversity and comedy in them, she penned Fifty Shades of Jungle Fever as a parodied response from a woman of color to those wildly popular books. 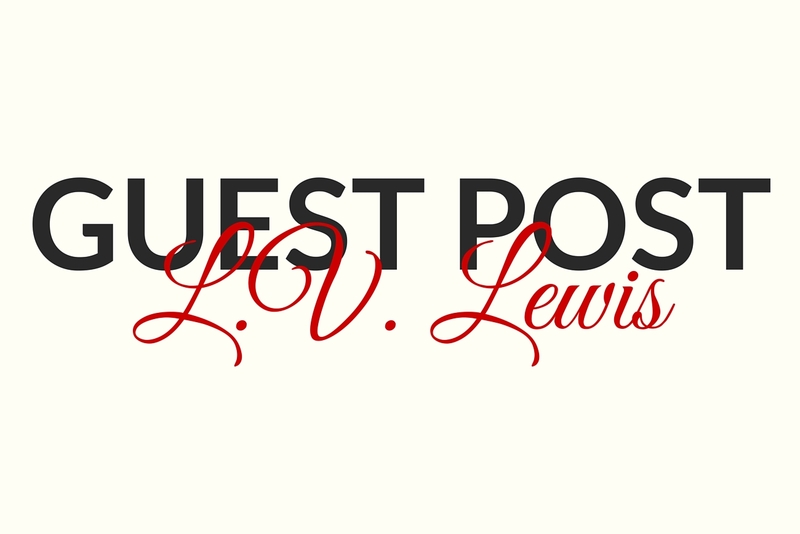 A voracious reader since kindergarten and writer since her teens, L. V. loves nothing more than to curl up with a good book and a glass of wine. She and her husband are political junkies, a hobby that is time consuming, but free. Now that Lewis has teens who think they don’t need their parents anymore, she has taken up another time-draining career—writing. She is happy to report that, for once, her extra-curricular activity costs far less than her husband’s. Her love for writing is only eclipsed by her love for her family.